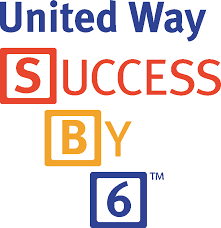 Unity Elementary in partnership with Success By 6 would like to invite parents and community members to view the new video from United Way St. Croix Valley titled "Talk, Read, Play, Sing". The video is part of the United Way St. Croix Valley's Success By 6 "Talk, Read, Play, Sing" campaign. Information regarding the great new campaign can be found at the following web address: www.unitedwaystcroix.org/success-by-6. We look forward to seeing great things happen for students and their families!